Turnout at the election was just 46.1 percent, the election board said, way down from the 80 per cent registered at the last presidential vote in 2013. The opposition said that figure was inflated, putting participation at nearer 30 per cent. 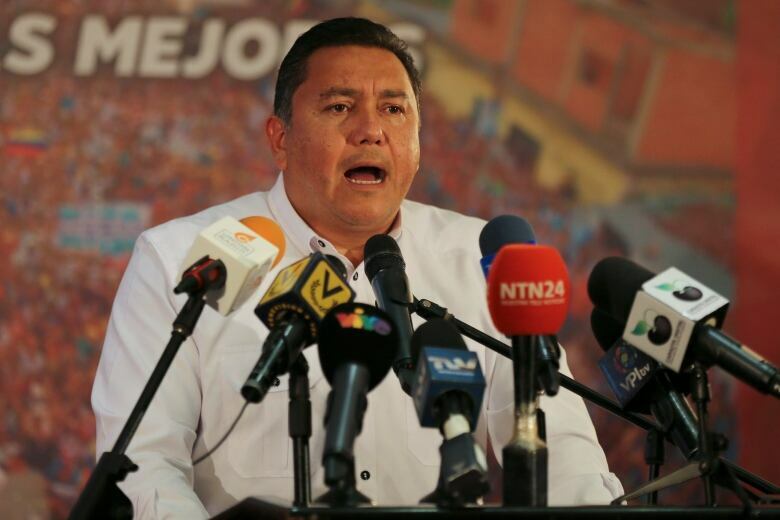 Falcon's quick rejection of Sunday's election, and call for a new vote, was therefore a blow to the government's strategy. 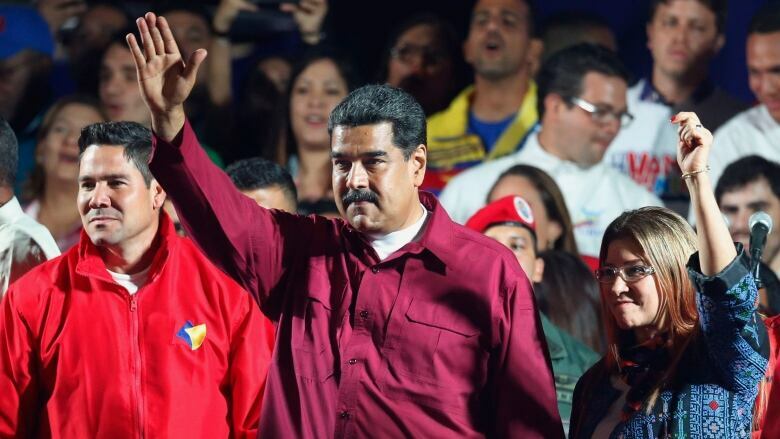 Maduro, the self-described "son" of former President Hugo Chavez, says he is battling an "imperialist" plot to crush socialism and take over Venezuela's oil. Opponents say he has destroyed a once-wealthy economy and ruthlessly crushed dissent. Venezuelan migrants staged small anti-Maduro protests in cities from Madrid to Miami. In the highland city of San Cristobal near Colombia, three cloth dolls representing widely loathed officials — Electoral Council head Tibisay Lucena, Socialist Party No. 2 Diosdado Cabello and Vice-President Tareck El Aissami — were hung from a footbridge. But streets were calm, with children playing soccer on one road in San Cristobal blocked off at past elections to accommodate long voter lines. For many Venezuelans, Sunday was a day to look for scant food or stock up on water, which is increasingly running short because of years of under-investment. 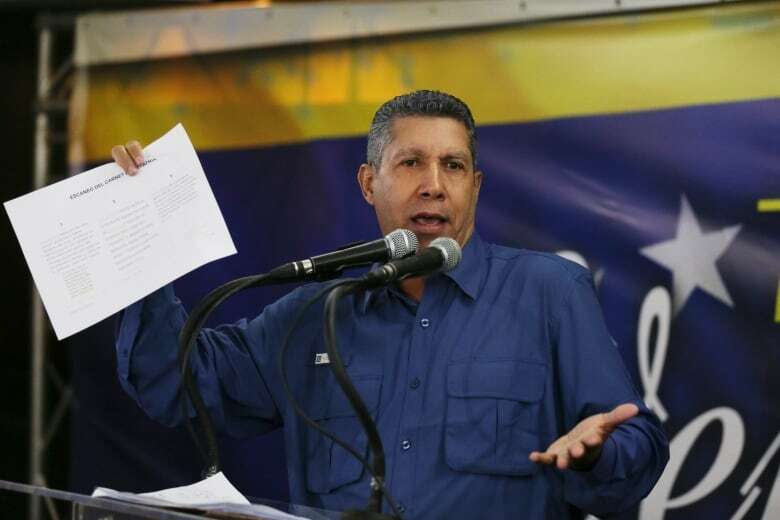 He faces a Herculean task to turn around the moribund economy, with the bolivar currency down 99 per cent in the past year and inflation at an annual 14,000 per cent, according to the National Assembly. 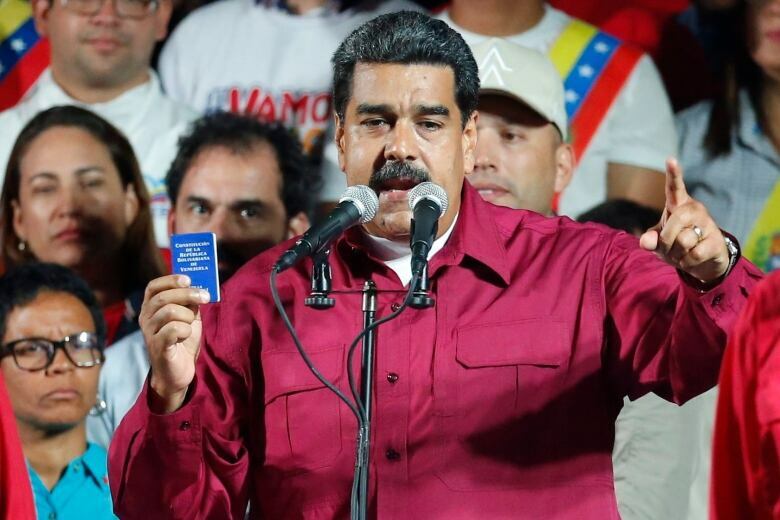 The more than 5,000 Venezuelan citizens living in Canada are prevented from taking part in the vote, a spokesperson for Global Affairs Canada has confirmed. 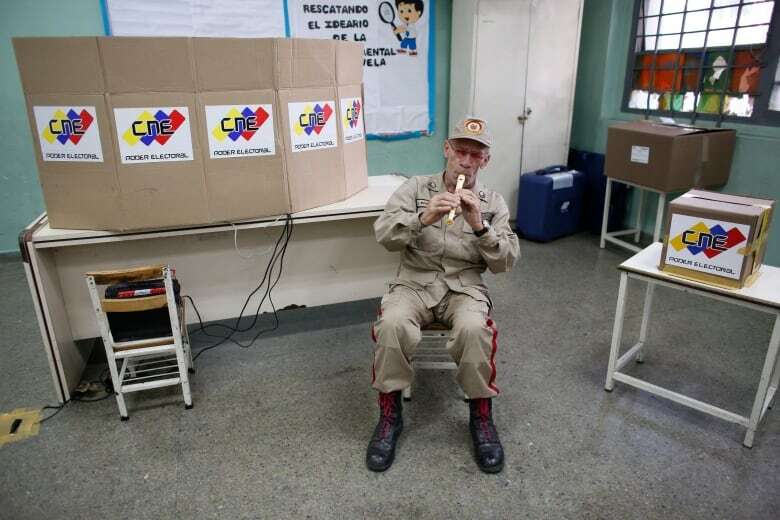 "Canada will not be authorizing the opening of polling stations in Venezuelan diplomatic missions in Canada, due to the illegitimacy of these elections," the department said in a statement Saturday. "The Maduro regime's unwillingness to allow all political actors to participate freely and fully, and to allow for a free press, is deplorable," the department said. 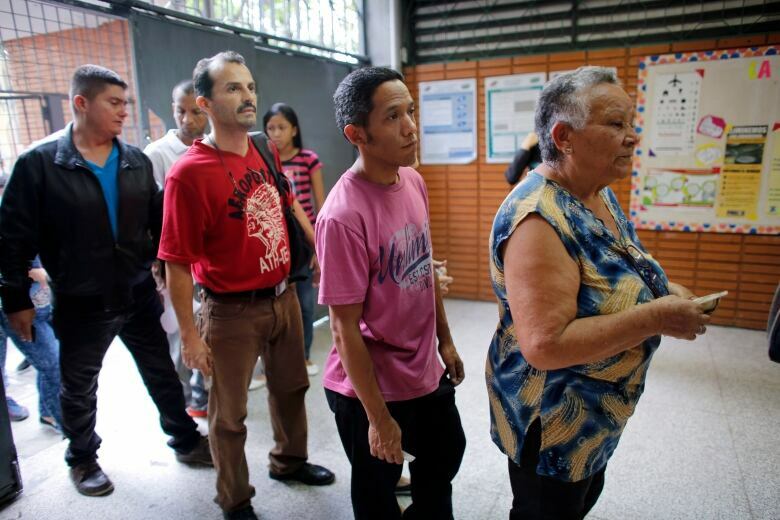 "The Maduro regime has made no attempt to ensure the election meets international standards of freedom and fairness. We will make no apologies for calling this election what it is: illegitimate," it said. Venezuela's Foreign Minister Jorge Arreaza has called Canada's decision hostile and has urged the government to reconsider. Rebecca Sarfatti of the Canada Venezuela Democracy Forum has been helping organize the Venezuelan-Canadian community during elections for years. This is the first time she has refused to participate, she told CBC News. "It's a void election, because it was called by an illegal entity. There's no accordance with Venezuelan law. There's no transparency … I could not be part of that," she said. The United States, European Union and many Latin American countries have said they won't recognize the results.